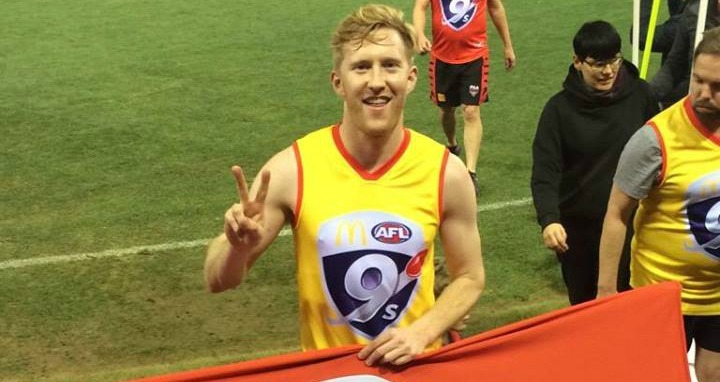 Jason Ball at the AFL 9s competition. Image supplied. TWO LGBTI-inclusive teams are slated to play in the AFL 9s competition this summer, a move aimed at increasing diversity in the sport. The Diversity Reds team will play in the Parkville competition while the Diversity Blues will play in South Yarra. A recent VicHealth study found that AFL was a sport that many in the LGBTI community wished to play but didn’t as a result of perceived homophobia. The Diversity Blues team will be captained by Jason Ball, who sees both Diversity teams as a great way for LGBTI people who are new to the game to get involved. “The reason we have LGBTI inclusive sporting teams is because our community faces incredible barriers when it comes to sport, because of the typically homophobic culture that so often goes hand in hand with it,” he told the Star Observer. “Research has found that large numbers of people in the sport have witnessed homophobic abuse, whether physically or verbally, and people who are gay feel they have to remain in the closet because they don’t feel they’re going to be welcomed. AFL 9s is a touch version of the game, so there’s no tackling and it takes place on a smaller field. There are also mixed teams, with women earning nine points for every “super goal” they score. “It’s not an end goal, it’s a stepping stone,” Ball said. Next year, the St Kilda Saints and the Sydney Swans will go head-to-head in a Pride Match during the 2016 premiership season. 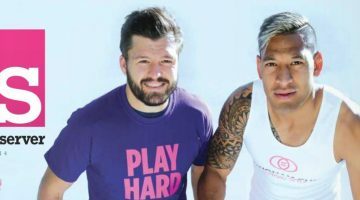 The president of both Diversity AFL 9s teams and Diversity Reds captain Jason Tuazon-McCheyne believes the teams will contribute to the move the AFL is taking towards greater diversity and acceptance. “We’re hoping at some point we’ll have a whole rainbow of teams,” he told the Star Observer. Anyone interested in playing are encouraged to join the Diversity AFL 9s Facebook page or contact diversityafl9s@gmail.com to register their interest.